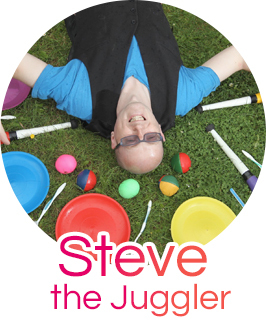 Steve the Juggler is available to teach adults and children in a variety of ways and for a variety of purposes including Motivational Speaking! Please read below and consider whether you would find any of the following courses useful then get in touch and I can provide more information including costs! How to achieve what looks impossible by simply giving it a try! These messages are carefully interwoven with the appropriate activities so that they have more of an impact and will be more easily remembered for when your staff return to their usual workloads! Handouts are available which teach even more about Creativity and Innovation, How to learn new skills etc so that further learning can be done after the Session. Please bear in mind that I can be hired to run a normal Circus Skills Workshop.without all these positive messages if you are just keen for the staff to have a break from the usual routine and have some fun! Here is a press-cutting from my first Motivational Speaking Workshop – click to enlarge in a new browser window. Suitable for adults and kids! 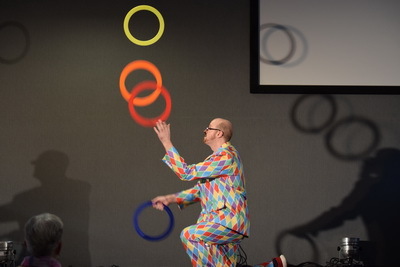 Try your hand at learning from a wide variety of props such as how to juggle, plus diabolo, devilstick, spinning plates, poi, speedcups and much much more! Details available on my Circus Skills Workshop page. This training course can prove invaluable especially for School Sports Co-ordinators, Kid’s workers & Physical Education teams who wish to learn how to run their own Circus Skills Workshops. 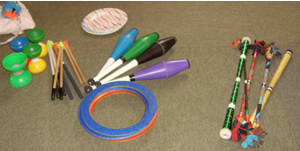 A discount on purchasing juggling equipment is available after the course! 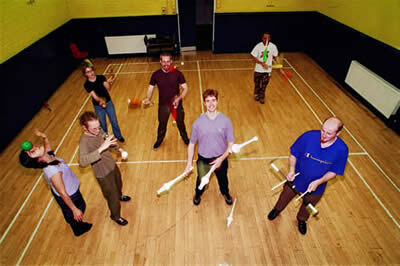 More details available on my How to run Circus Skills Workshops page. For the Christians among us, if you and your Ministry team would love to learn Circus Skills and how to use them in your Ministry, then this is a 1 or 2 day course which will teach you all the skills to get you started as well as plenty of ideas on where to find routines and how to come up with your own ideas also! 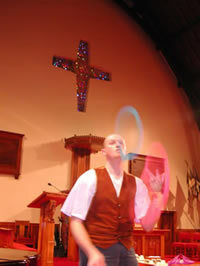 More details about Christian Juggling Course here. 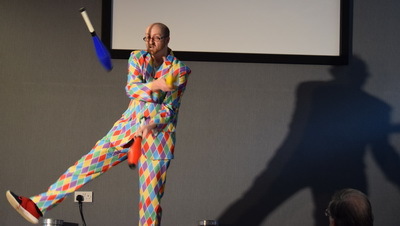 If you are having any kind of Health Initiative (at your work or perhaps in the NHS or at In-service training days in School) and are keen for more people to become aware of the Benefits of Juggling as a Healthy, fun, relaxing activity, then please consider hiring me to either perform Walkabout Juggling and chat amongst people at your social event, or to put on Circus Skills Workshops which include handouts and include a 10min talk all about the Benefits of Juggling! More information about my Circus Skills Workshop and Walkabout Entertainment. 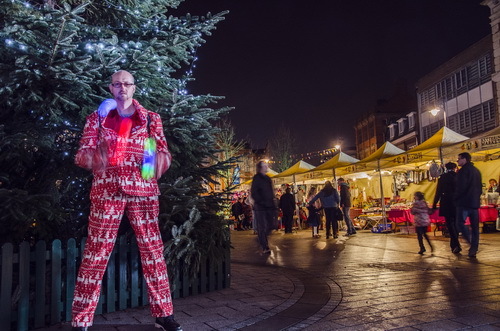 On this training course, I teach juggling and performance skills to the participants and then work alongside them on preparing a show for the final day (day 5) which can be in front of an audience or just something to build up to. Ideal for School’s and Sports camps looking for something bit different. If the participants would prefer not to build towards a show, then the emphasis is changed to building up the skills the participants want to develop. This course is suitable for Kids although Adults may find it fun and quite relaxing also! “Playhaven Out of School Care had a Circus week as part of our programme for sumer activities for the children attending the project. I hired Steve to come and do 4 workshops with the children over a 4 day period. On the 5th day I hired a marquee and the children put on their own circus performance as a fundraising event for Playhaven.